All natural condiments adding a healthy dose of flavour with no refined sugar, additives or preservatives. 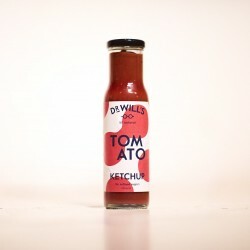 Dr Will's was created by a doctor (Will) and a restauranteur (Josh) because they wanted a better, natural alternative to the everyday sauces they loved. 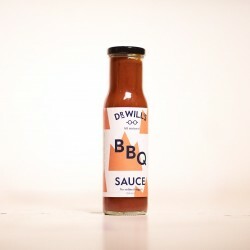 They started experimenting with natural, tasty ingredients and soon came up with a range of delicious sauces. Ordinary ketchup is full of refined sugar, but their sauces only contain sugar from fruits used in the ingredients. This sugar is more kindly broken down by the body and won't lead to glucose and insulin spikes like refined sugar can. 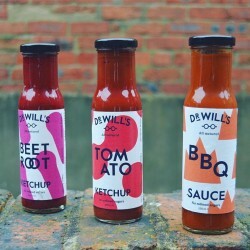 Sauces that taste amazing, don’t do you any harm, and look pretty fantastic too!